P.S. 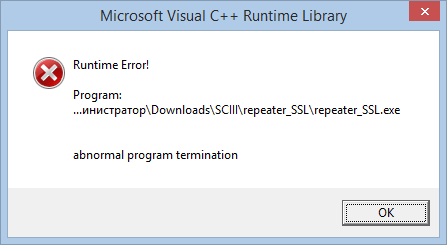 I use Windows 8.1 x64 with installed MS Visual C++ 2005 - 2015 Redistributable packages. SSL is an old experiment. Discontinued, src is on the same page. Well, could you tell me please then what's the best way to secure connection? Still use special plugin (MSRC4Plugin.dsm)? The SSL experiment had a security issue. To be able to route, the repeater must decrypt and encrypt again. Using the plugins your data is encrypted between serevr and viewer, the router can only route packages, but can't read the content. Could you tell please where can I find the recent secure plugins for the recent UltraVNC pack (Server, viewer, Repater)? Is there a way how to fix it? I user recent UltraVNC pack btw. Check if the server has encryption activated. I've also generated two pairs of keys (20171016_Server_ClientAuth.pubkey and 20171016_Viewer_ClientAuth.pkey) on either on sewrver and viewer side. In this case you manual need to copy the viewer key in the same folder as the viewer exe. Rudi De Vos, thank you very much for your patience! It works now - finally!